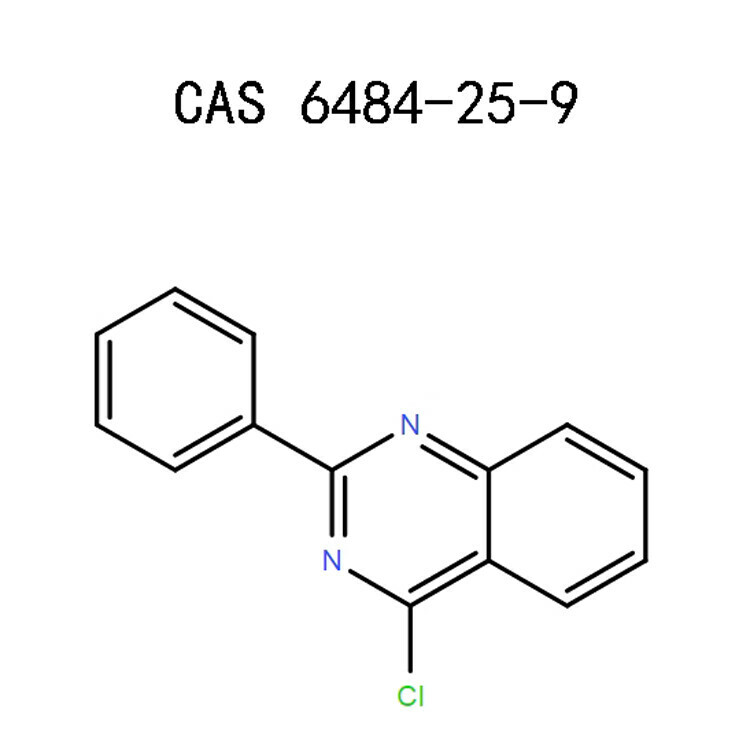 4-Chloro-2-phenylquinazoline（6484-25-9） was used in synthesis of axially chiral quinazoline-containing phosphinamine ligand, N,N,2-triphenylquinazolin-4-amine, sulfanyl and sulfinylbenzodiazines. 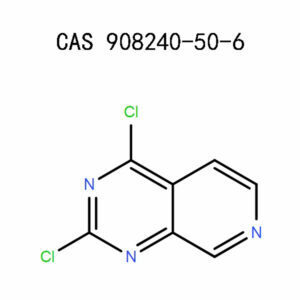 It was used as reagent for the conversion of phenols to anilines. Molecular iodine catalysed benzylic sp 3 C-H bond amination has been developed for the synthesis of quinazolines from 2-aminobenzaldehydes and 2-aminobenzophenones with benzylamines. The use of oxygen as a green oxidant combined with the transition-metal-, additive- and solvent-free conditions makes the methodology economical and greener. The lack of aqueous work up also enhances the efficiency of this protocol. 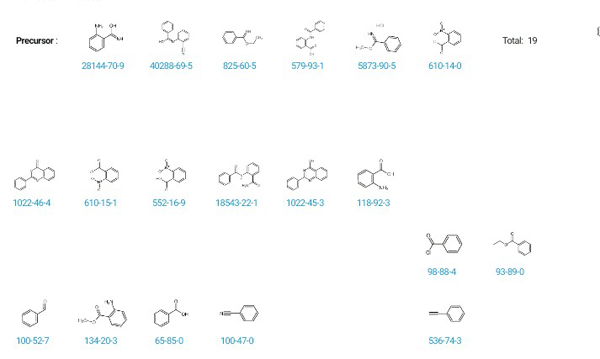 A series of 2-arylquinazolines was synthesised in good to excellent yields by using the developed protocol. 2-Aminobenzyl alcohols could also be employed to prepare the corresponding quinazoline derivatives. With DMF as the solvent, the amide moiety of indole substrates could act as an auxiliary to enable the indole’s oxygenation reaction with molecular oxygen from air as the oxidant to give 3H-indol-3-one derivatives in a highly selective manner. On the other hand, when the reactions were performed in 1,4-dioxane, the amide moiety switched to participate in an intramolecular indolyl N1-cyclization to afford indolo[1,2-c]quinazolines as the predominating products. At API CMO, we manufacture large quantities of 4-Chloro-2-phenylquinazoline among other chemicals. Our products comply with the CGMP regulations and other chemical production regulations. Our extensive research and experience in this field help us produce chemicals that are of exceptional quality at a competitive price. It is a crystalline powder that is slightly yellow to yellow. 4-Chloro-2-phenylquinazoline is stable under normal conditions. At elevated temperatures, it decomposes to produce Hydrogen chloride gas, Nitrogen oxides, Carbon monoxide, and Carbon dioxide. 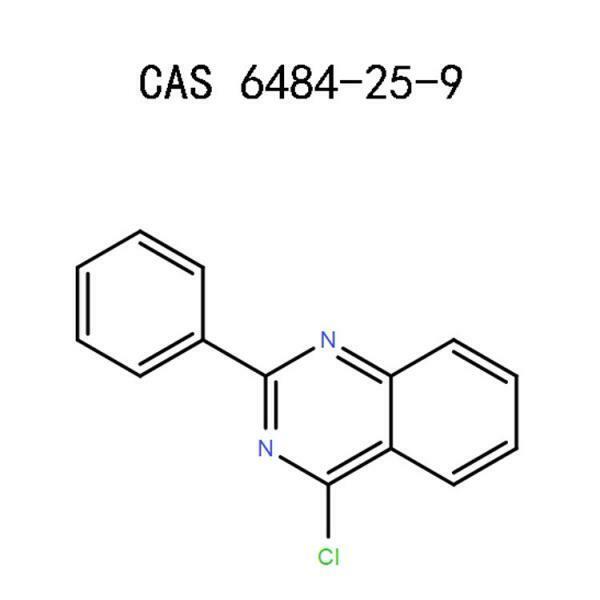 Aurora inhibitor MK-04575 reactant involved in Suzuki Miyaura cross coupling and catalyst-free/base free water promoted nucleophilic aromatic substitution. 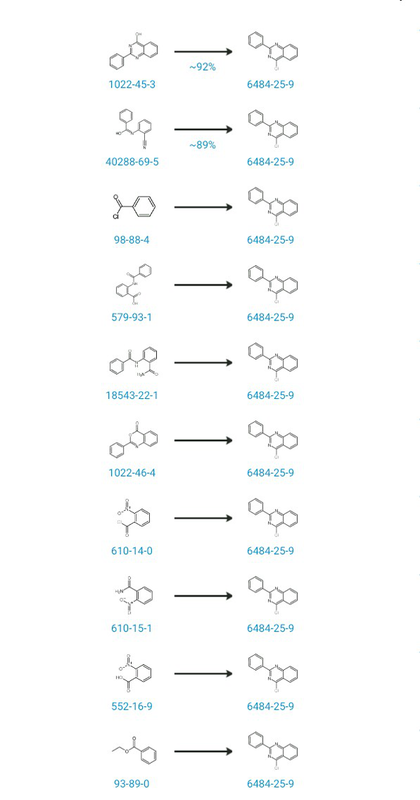 Quinazoline containspiperazinyl pyrimidine derivatives that fight tumors. Nitrotriazole amines or nitroimidazole amines that help fight trypanosomal and cytotoxicity in mammals. 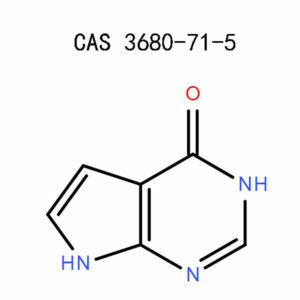 Quinazoline containspiperazinyl pyrimidine derivatives with antitumor activity. Quinazoline substituted cyclopentane as HCV NS3/4A that inhibits the protease. Quinazolines that help fight bacteria and tumors. It causes skin irritation while in contact with the skin. It may cause respiratory irritation once it inhaled. It may cause severe eye irritation. Avoid breathing dust/fumes/gas/mist/ vapors/spray because this may cause respiratoryirritation. Use the product only when outside or in a well-ventilated room to prevent choking. Wear protective gloves, protective clothing, protective eyeglasses or chemical safety goggles and face protection masks. Doing this will help you protect yourself from coming into contact with the chemical. Ensure there is adequate ventilation especially where air supply is low. You could install ventilation systems to minimize accumulation of the fumes and gas. Ensure that eyewash units and safety showers are close to the workstation.It will improve responseincase you come into contact with the chemical. Keep systems for 4-Chloro-2-phenylquinazoline separate from other systems exhausting incompatible substances to prevent hazardous reactions from happening. In case the product gets on your skin, wash with plenty of running water and soap. Take off all contaminated clothes and shoes and clean them before reuse. If the irritation persists, seek medical attention. If ingested, clean the mouth with water. Do not give anything through the mouth of an unconscious person. Seek the attention of a physician. If inhaled, get the victim to a place he/she can have fresh air and assist them to rest in a comfortable position so that they can breathe well. If not breathing give artificial respiration. Call a Poison Centre, or a doctor in case symptoms persists. If it gets to your eyes, rinse cautiously with plenty of water not forgetting under the eyelids, for a minimum of 15 minutes. If wearing any contact lenses, remove them. Continue flushing water,and if eye irritation persists, seek medical attention. Comply with all good hygiene practices while dealing with this chemical.Ensure that you wear appropriate protective eyeglasses or chemical safety goggles to protect your eyes from coming into contact with the 4-Chloro-2-phenylquinazoline.Wear suitable protective gloves and clothes to prevent skin exposure. You could wear an apron, mask, shoes. Avoid placing the containers that have the chemical on the bench ends to avoid being knocked off.Ensure that all the containers you are using are correctly labeled to avoid confusion and mixing of the chemical with an incompatible substance that could lead to a hazardous reaction. Wash hands thoroughly after handling.Do this is before undertaking any other activity to prevent ingesting the chemical or the chemical reacting to your skin. Clean the area that you worked on to minimize risks. All surfaces that you have worked on must be cleaned regularly evenwhen no spillage occurred. Remove contaminated clothing and footwear. You should also clean and ventilate them before wearing them again or discarding because they could be a hazard. Keep in a tightly sealed container.It will help ensure that no spillage occurs. Place it in a cool, dry place that is well ventilated to reduce chemical instability. Keep it out of moisture because it reacts with water. Do not place it near incompatible products, for example, strong oxidizing agents.It will help prevent decomposition of the chemical. Avoid the chemical from getting contact with skin and eyes because it is an irritant. Open and handle the container with care to prevent spillage and to get into contact with the chemical. Avoid eating, drinking or smoking when handling it as it may poison you.Do not breathe dust to prevent you from choking from the fumes.Use only with adequate ventilation.Wear suitable protective clothing, gloves, and eye/face protection.Keep away from sources of ignition such as flames and sparks to prevent the occurrence of an accident. Make sure all containers are well labeled for easier identification. Keep in a cool, dry well-ventilated place. Protect from exposure from direct light and from moisture to prevent anyreaction that may occur.Store the product away from heat and any sources of ignition and keep it locked up to avoid spillage.Store away from any incompatible products to prevent them from mixing accidentally. The chemical should be stored in a place that is out of the reach of any unauthorizedpersonnel. In case of any spillage, preventthe product from entering drains because it may react with water. Clean up spillage and collect it in a suitable container for disposal.Do not rinse the product into surface water or sanitary sewer system because it may be a contaminant. Wear a compressed air breathing apparatus and full protective gear. 4-Chloro-2-phenylquinazoline reacts with strong oxidizing agents and decomposes to produce; Hydrogen Chloride gas, Nitrogen Oxides, Carbon monoxide(CO), Carbon dioxide. Do not allow the material to contaminate the water system. Dispose of the contents to an approved waste disposal plant. Do not reuse containers. Dispose of as unused product. Keep all waste containers labeled. Waste containers used must be chemically compatible with the waste. Comply with all regulations (local, federal, state) regarding the disposal of waste. 4-Chloro-2-phenylquinazoline is safe to be transported by both air and road. At APICMO, our production team ensures that it works together to ensure that production processes run smoothly to meet customer demands. The technicalteam is also uniquely structured to ensure that all technical skills needed in the chemical production are met to ensure we achieve operational excellence. 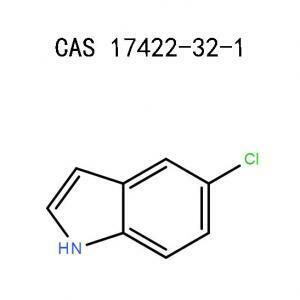 Are you interested in buying large or small quantities of 4-Chloro-2-phenylquinazoline?At APICMO, we are readily available for any inquiry that you may have regarding pricing or delivery of our products. Journal of the American Chemical Society-volume 68, Page 1299. Catalog Handbook of Fine Chemicals, Aldrich Chemical Company,2000, page 62.